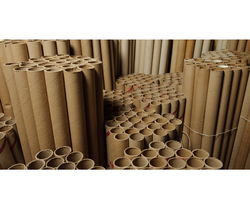 We are a leading Manufacturer of paper cores for textile industry from Noida, India. Owing to years of experience in the industry and with our skilled professionals, we are offering finest quality of Paper Cores for Textile Industry. We offer these products to our valuable clients globally at affordable prices. Looking for Paper Cores for Textile Industry ?